Ok we missed Fanning Island. We woke up early, so we so we could watch the sail in and we saw the island,,,,, and then we didn't! 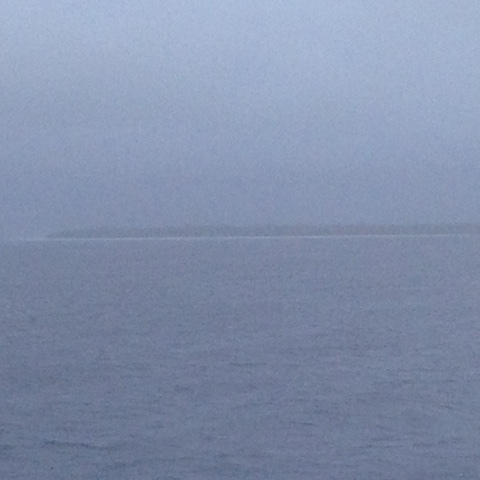 Then it looked like this, then you couldn't even see the island, it rained so hard. The capten said we had to abort, as there was no way with the storm, that the tenders would make it. So we just headed south, on to our next stop Rarotonga. Now our on location guid says it Friday the 15th, but none of us is really sure, as we have criscrised the date line, with no real refeance as to time and date. Oh well "what difference does it make?" So now we are on our ? Sea days, all I know is we should be in Rarotonga day after tommrow. We'll see. I'll try to give you an idea of how we have settled into sea days around the ship. This is a very interesting ship, it is smaller then what we are accustomed to, so even though we are more aft we don't have very far to go to get to most things. I profiled the library, last time, that is on deck 10, if you go down one deck to 9 you are on the lido, and spa deck. The lido market is wher you have the casual option, for breakfast lunch, and dinner. It is very good, as that type of thing goes. The biggest problem is finding a seat, and the dinamics on this ship, makes it even more of a problem, as they are all so much older, so they all go to everything way ahead of schedule. There is another lunch venue on this deck, it is The Drive In, the have hot dogs and hamburgers and frys, this is the BEST I have experienced, in this category. I will try to get some photos tommrow. We had lunch here today, with Bill and Irene, we got New England clam chowder and the other three had hotdogs and I had a chicken sandwich. Now Ed is napping, and I'm writing. 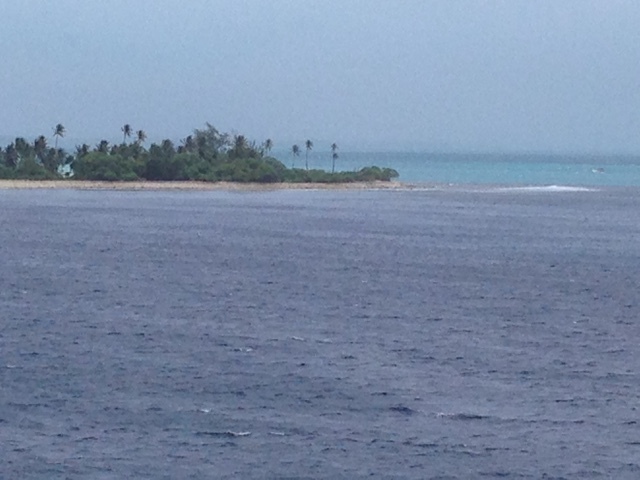 We have been going to the lictures around 2 tha Kaino, gives on the upcoming islands, but there wasn't one today. The one today is on flying the North Atlantic, and Pacfic. Not sure if Ed is going or not. We go to dinner at 7:30, finely got that worked out, and we go to the Oceans Bar befor dinner, more on that later. So more trivial things later. Well bummer that the hard rain came. Hopefully the sun comes through soon.